From a Sacramento dinner I looked at the rain as it beat a gentle rhythm upon the roof. The grey sky rolled left to right as dinners ushered dates under umbrellas. Pools of puddles widened as rainfall became heavier. With that Michael darted off on his rounds. Throughout the meal, I heard Michael’s name whispered amongst the guests. Finally, I gathered some mental strength and queried the patrons in the table next to me. Their meals came. The table received the bill and headed out. Michael came to collect the check. He momentarily looked. He exhaled heavily, wiped a tear or two and returned the check-holder to his pocket. My check-holder arrived twenty minutes later. The bill was $59.87. For a moment, I thought about client policy, only fifteen percent tip maximum. “Too bad I muttered,” as I wrote a $100.00 tip. Friday saw an early wake-up call. Flight 323 was due to leave in a few hours. I arrived at Sacramento International well before departure. TSA interactions were cordial, but none reminded of Sheila from a few days earlier. When boarding started, I met a stunning older blond woman. Approximately 6’1” or 6’2,” long blonde hair, a silver back pack, and towing a standard black roller carry-on. We engaged in conversation. Just as I, she was a consultant. And strangely, we had similar experiences, similar travels and similar travel horror stories. Sadly, I never asked her name. I wish I did. Two strangers, hitting it off on a Southwest jet bridge, traveling to the same city, in the same career field, knowing one another, yet never not knowing one another. In Casablanca, Humphrey Bogart and Ingrid Bergman said their last words to each other in a weird foggy glow on the taxiway. A Lockheed 12 aircraft looms behind them, promising adventure. This is a threshold of escape — a point of departure for the characters, an apt space of closure for the film. In real life, our films move forward, unending. And for once in the past nine years, I wish I had more time. As I write this, I realize how much I miss her. Like many others, it makes you feel warm inside and you feel lucky to have met someone special that is missed in your life. However, I am jealous of the people she gets to meet. I wish I had another chance. 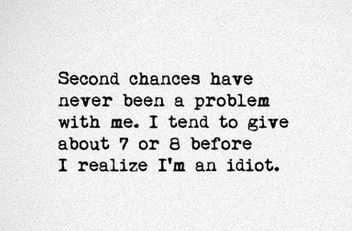 Life is about chances. Maybe it was chance that I met Michael. Maybe, chance had nothing to do with it. Maybe it was chance I met a wondrously beautiful and engaging woman on a Southwest jet bridge. Maybe ‘chance’ had little to do with it. In a lot of cases, life is about opportunity. When I met Michael, I was drawn to his cause simply because others were so drawn to him. As for my chance traveler, we were drawn to each other for some reason. But I forfeited my chance when we parted. Remember, leave nothing to chance.